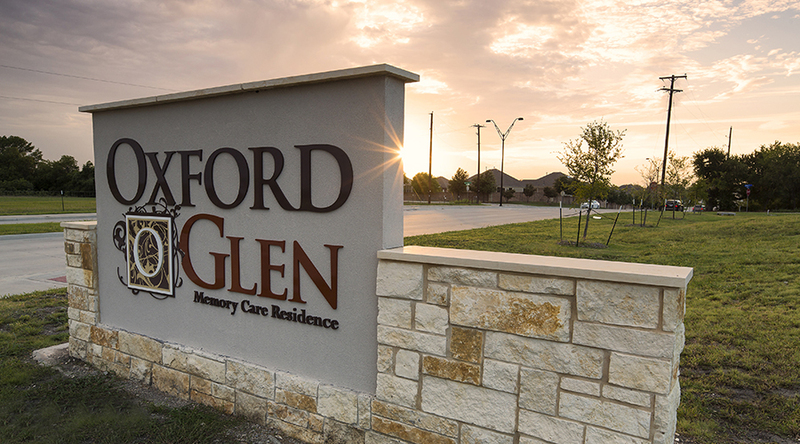 Oxford Glenn is a memory care assisted living facility that utilizes a household model to house 36 residents in three households of 12. 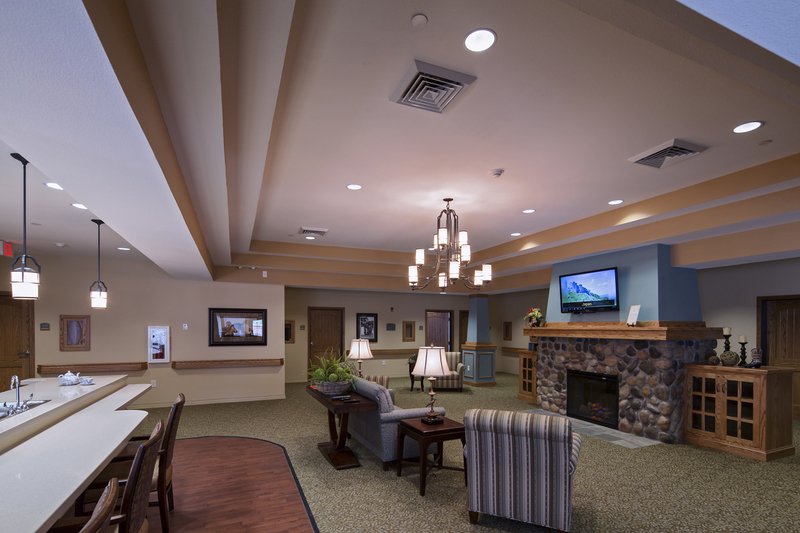 This concept creates an environment that is more intimate in nature, allowing caregivers to get to know the residents better and helps to keep the residents from being overwhelmed by their surroundings. 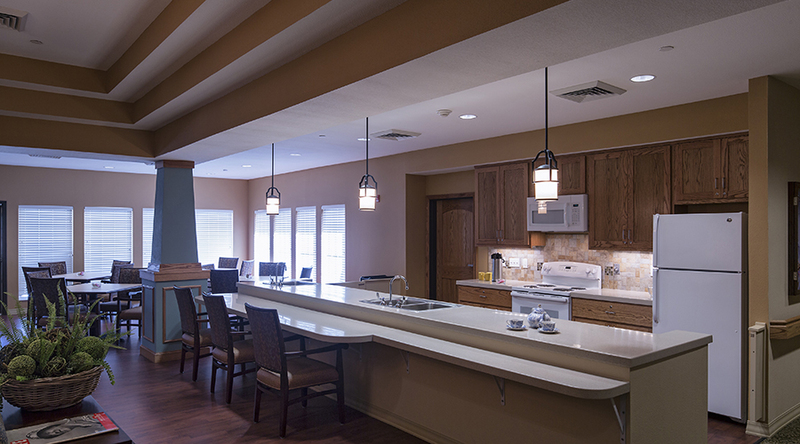 Each household is connected to a central atrium space that allows staff and caregivers to move from house to house freely. 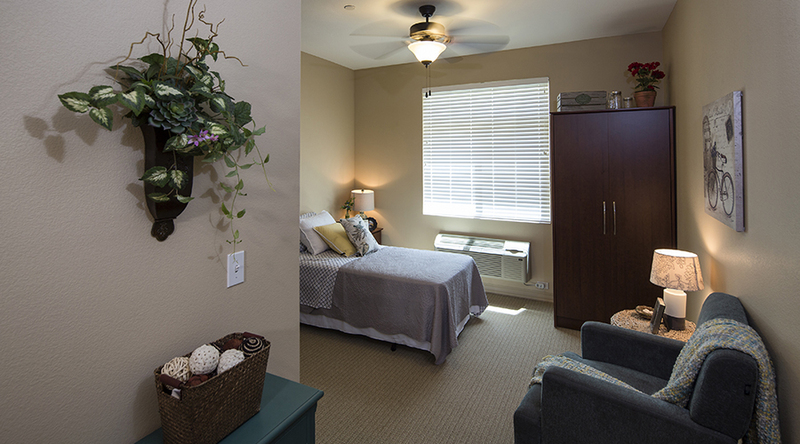 This feature also allows for some common spaces and services to be easily shared. 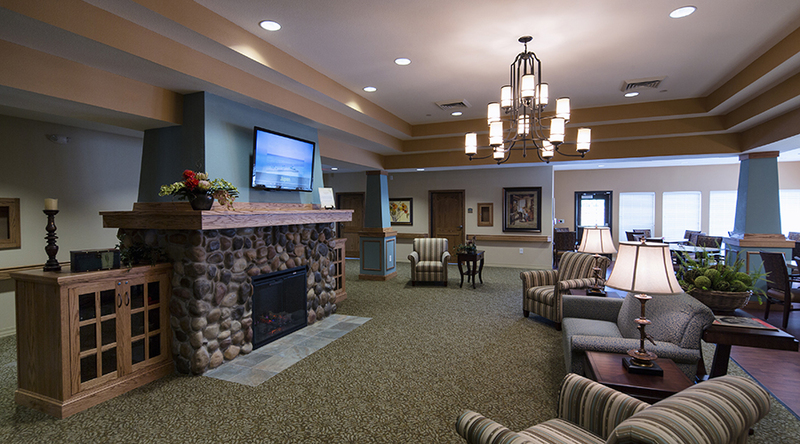 The central portion of the residence houses the main entrance for visitors, administration area, activity room, quiet room, salon, health center and the main kitchen. 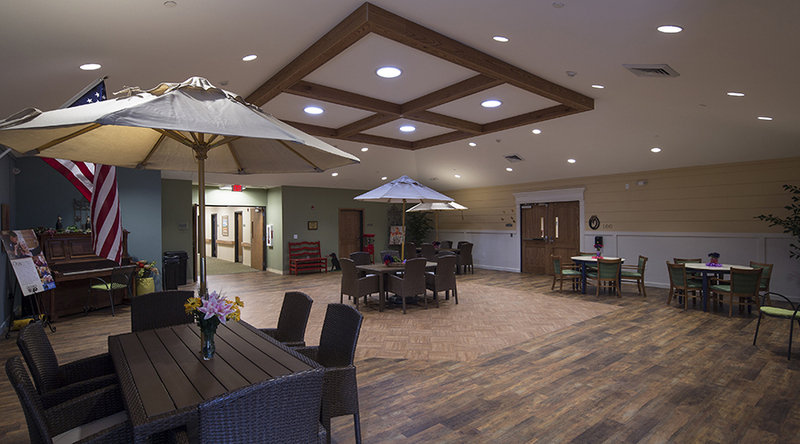 The building is also designed to allow for three more households to be added onto the central area creating a total of 72 memory care units.